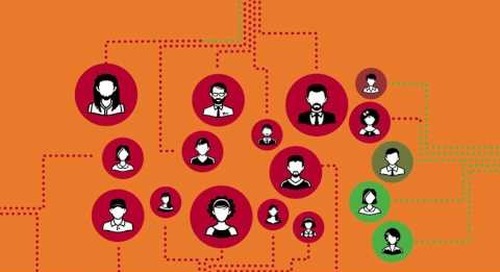 Watch our video on the Shadow IT that matters more than others: OAuth connected apps. 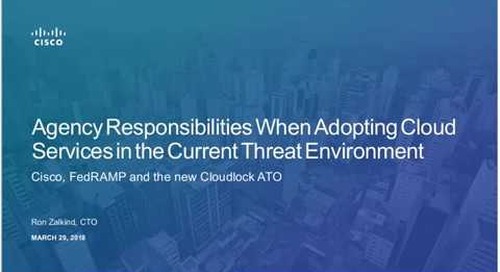 We will explain how Cisco Cloudlock (with FedRAMP ATO) can enable secure cloud service adoption by protecting user accounts and data. 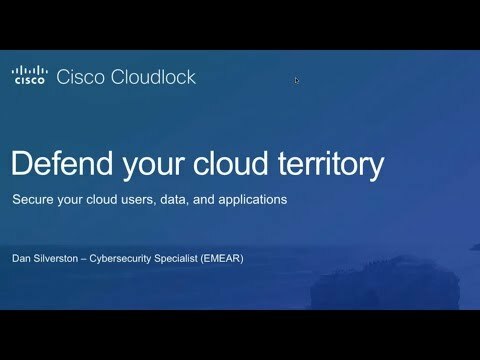 Cisco Cloudlock is the Cloud Access Security Broker (CASB) solution that protects your cloud users, secures your cloud data, and defends your cloud apps. Assista ao nosso vídeo destacando os desafios que as organizações enfrentam quando se trata de segurança na nuvem. Watch this webinar, hosted by our cyber-intelligence experts, to understand where the risk may lie and to learn how you can monitor for any suspicious activity. 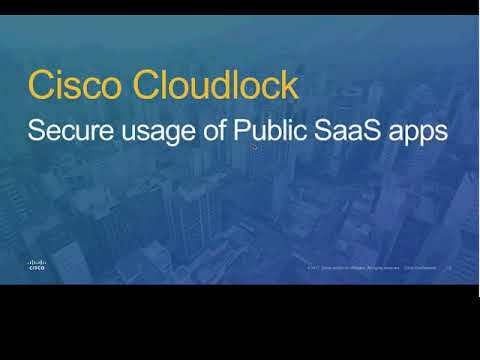 Watch this webinar to learn how you can combat cloud security threats with Cisco Cloudlock. Watch our interactive webinar with OneLogin to learn how to bring unmanaged SaaS apps out of the shadows, plus reduce security and compliance risks. Dropbox y Cisco Cloudlock se juntan para ofrecer una seguridad comprensiva centrada sobre el usuario que protege la información más delicada y las cuentas de los usuarios. This webinar walks through our cybersecurity report insights to help you understand the implications of the new Shadow IT risk vectors that arise with cloud adoption. What will GDPR mean for companies in the EU and globally? Learn what you need to know in this webinar. This webinar walks through our CyberLab's Cloud Threat Funnel, used to narrow focus onto user activities that are the most indicative of true threat. 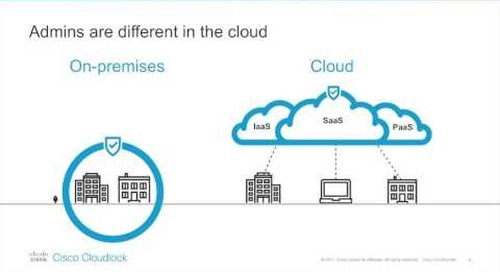 Watch this webinar to learn how you can stop hackers with integrated CASB and IDaaS security provided by the Cisco Cloudlock and OneLogin joint solution. Learn why cloud users are the new threat vector for cyber-attacks, what account compromises look like and why they are so scary, and some concrete user behavior analytics recommendations. This webinar walks through our cybersecurity report to examine cloud cybersecurity trends across three primary dimensions: users, collaboration, and applications.